Did you know what the Bangalore metro parking fees are? 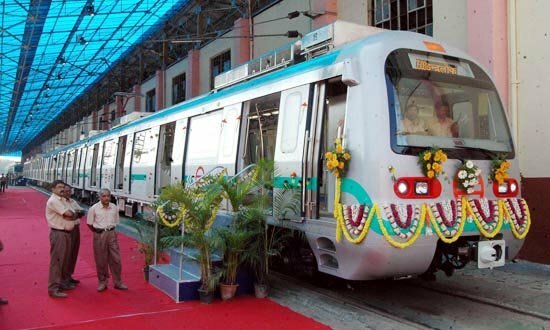 Here is everything you must know about parking fees in Bangalore Metro. For commuters who use the Bangalore metro to get from place to place, having a good parking facility is essential. This is because the cars and bikes used to ferry them from their home to the metro station and back often spend a major part of the day parked near the metro station. For this reason, the Bangalore Metro Rail Corporation Ltd. (BMRCL) is tying up with private contractors for attached parking lots. Two-wheelers will be charged a parking fee of Rs 15 for up to 4 hours and an additional Rs 5 for every extra hour. Four wheelers can be parked for up to 4 hours at a fee of Rs 30 and may be charged an additional fee of Rs 10 per hour over this. The maximum fee payable to park a two-wheeler and four-wheeler for the full day is Rs 30 and Rs 60 respectively. Light commercial vehicles will be charged a parking fee of Rs 75 for the first 4 hours and Rs 25 for every additional hour. The fee for parking a vehicle for the full day is Rs 150. Bicycles are charged a per hour rate of Rs 1. The maximum charge they can be subjected to Rs 10 for the full day. Overnight parking is not permitted. Vehicles may be parked from 5 am onwards and can remain in the parking lot till half an hour after the last train leaves the station. The parking lot at the Mysore Road station can hold about 1700 2-wheelers and 250 4-wheelers. This is much more than the capacity of the Byappanahalli and Swami Vivekananda metro stations. Maintenance and operation of the parking lot have been licensed to a professional agency. The agency will soon begin paving the parking lot. This may take 2-3 months as the parking lot spans an area of about 2 acres. In the meantime, they have been permitted to begin collecting parking charges from August 5th, 2018 onwards. The Hosahalli and Magadi road metro stations will have smaller parking lots as compared to the Mysore road metro station.